Some anglerfishes employ an unusual mating method. Because individuals are presumably locally rare and encounters doubly so, finding a mate is problematic. When scientists first started capturing anglerfish, they noticed that all of the specimens were females. These individuals were a few centimeters in size and almost all of them had what appeared to be parasites attached to them. It turned out that these "parasites" were highly reduced male anglerfish. Hilarious. And may I add, ‘nuff said. 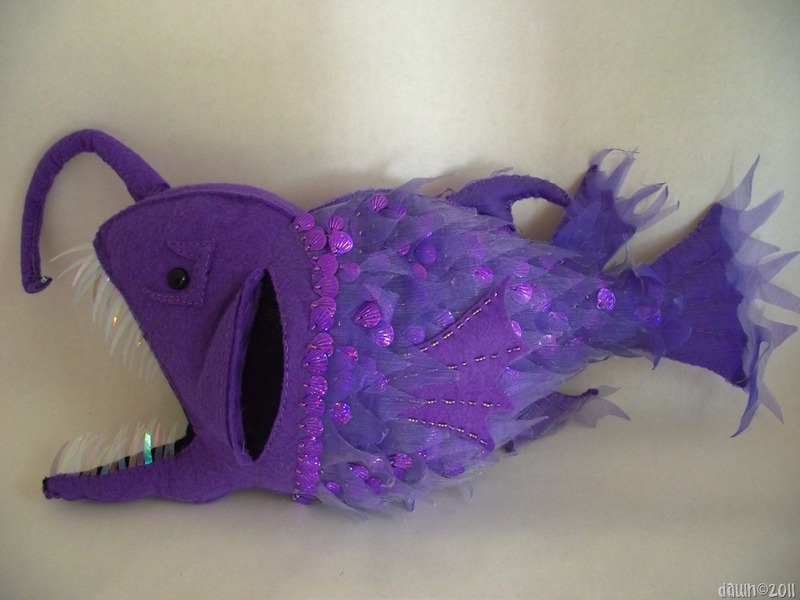 This fish uses a small watch battery, LED light and conductive thread. Yes, she lights up!